AT&T's acquisition of Time Warner has hit a serious snag. Negotiations between the companies and the Department of Justice have turned so contentious that now both sides are arguing publicly over what the dispute is even about. Both sides agree that there was a pivotal meeting on Monday between AT&T CEO Randall Stephenson and DOJ's antitrust chief Makan Delrahim. The two men discussed divestitures that might satisfy the government's concerns. Sources on both sides disagree about who brought up what. Some sources say AT&T floated the possibility of selling CNN or other assets. Other sources say the DOJ indicated that a divestiture of CNN would not be sufficient to make sure the deal doesn't hurt consumers. Drastic options were discussed, like the sale of the entire Turner division, which includes CNN, TNT, TBS, and other channels. Another option: selling DirecTV, the satellite broadcaster that AT&T bought two years ago. But AT&T is said to be reluctant to sell assets, especially Turner, which represents a significant portion of Time Warner's profits. When several news outlets reported on Wednesday that the Justice Department had demanded the sale of CNN, a source within the agency denied that, saying "the parties offered to divest CNN and the DOJ Antitrust Division flatly rejected it." Shortly after the DOJ put out that message, AT&T CEO Randall Stephenson sent out his statement disputing it. "Until now, we've never commented on our discussions with the DOJ. But given DOJ's statement this afternoon, it's important to set the record straight. Throughout this process, I have never offered to sell CNN and have no intention of doing so," Stephenson said. Some sources suggested that Stephenson never explicitly "offered" a sale of CNN, but brought up the various assets of Time Warner in order to take the government's temperature. As for DirecTV, "it's a false choice," one of the sources said, portraying the talks as designed to disguise an attempt to punish CNN. The DOJ's hardline approach to AT&T -- belying the business-friendly image of the Trump administration -- has spurred questions about Trump's personal interest in the deal, given his feelings about CNN's coverage of his presidency. Many of the details of the negotiations are in dispute. AT&T may choose to force the DOJ's hand by moving to close the deal, which could trigger a court fight. But sources said talks between the government and AT&T are ongoing in the hopes that an agreement can be reached. 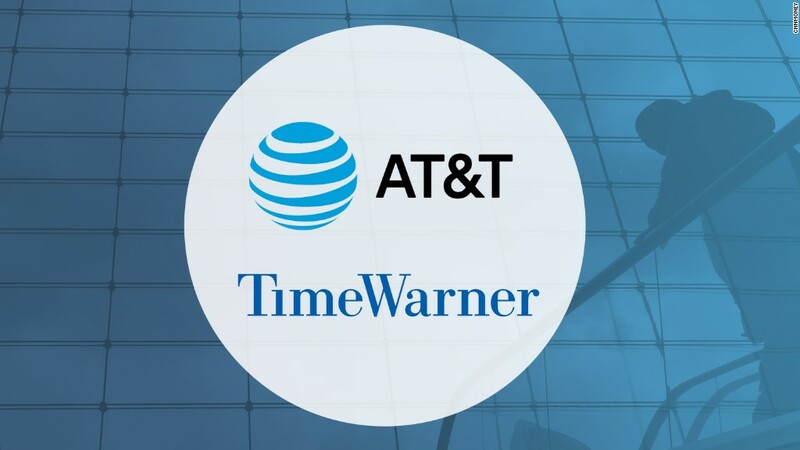 AT&T announced its acquisition of Time Warner more than a year ago. It has been waiting for the Justice Department's blessing. Wednesday's back-and-forth sent Time Warner's stock down 6.5%. And it caused some Democratic lawmakers to raise new concerns about White House interference in the Justice Department. Deputy White House Press Secretary Raj Shah denied that Trump had discussed with Attorney General Jeff Sessions the potential sale of CNN as a condition of the proposed merger. "The President did not speak with the Attorney General about this matter, and no White House official was authorized to speak with the Department of Justice on this matter," Shah said in an emailed statement late Wednesday. A DOJ spokesperson earlier issued a statement disputing any notion of interference. "The Department is committed to carrying out its duties in accordance with the laws and the facts," the agency said. "Beyond that, the Department does not comment on any pending investigation." AT&T executives have consistently expressed optimism about the deal being approved. But last week the Wall Street Journal reported that the government was "actively considering" an antitrust lawsuit to block the impending acquisition. AT&T sources said the Journal story was an unwelcome surprise. Transactions like Comcast's acquisition of NBCUniversal in 2011 are routinely approved with conditions attached. "For over 40 years, vertical mergers like this one have always been approved because they benefit consumers without removing any competitors from the market," AT&T said last week. "While we won't comment on our discussions with DOJ, we see no reason in the law or the facts why this transaction should be an exception." "We are in active discussions with the DOJ," John J. Stephens, chief financial officer for AT&T (T), said at a Wells Fargo conference. Stephens reiterated confidence in the deal, saying "these types of mergers bring great benefit to customers and have very routinely been approved by the DOJ and the federal government." But as a candidate, President Trump publicly vowed to block the transaction. As president, he frequently criticizes CNN. Over the summer The New York Times reported that Trump aides discussed using the pending deal as a powerful form of leverage over CNN's coverage. So some observers have been concerned about possible interference all year long. On last Sunday's "Reliable Sources" on CNN, when asked whether Trump has had any involvement, counselor to the president Kellyanne Conway said "we're not going to interfere with that here." When asked whether the president still personally opposes the AT&T-Time Warner deal, Conway said, "I haven't discussed that with him lately." Trump was quoted criticizing the DOJ several times last week. He said he wants the department to investigate his political rivals, including Hillary Clinton. The Justice Department has historically been insulated from political pressure. -- Kevin Liptak contributed to this report.